Graduate students Rimma Nehme and Yi Xu each earned a Bilsland Dissertation Fellowship. The fellowship provides support to outstanding PhD candidates in their final year of doctoral degree completion. Bilsland Fellows are expected to devote full-time effort to the completion of all doctoral degree requirements and to receive the doctoral degree at the conclusion of the fellowship tenure. This award provides a stipend, Graduate Tuition Scholarships, payment of fees and a medical insurance supplement. Nehme is a PhD student under the supervision of Prof. Elisa Bertino. She joined the department in 2005 from Worcester Polytechnic Institute. Her research interests include database management systems, data stream management systems, query optimization and adaptive query processing, self-tuning and self-managing databases, innovative interfaces for interaction with information, database security, access control, and privacy. 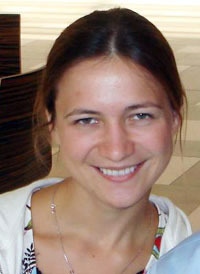 Recently she received the IEEE ICDE 2008 Best DBclip Award and was a Google Anita Borg Scholarship Finalist. Xu is a PhD student under the supervision of Prof. Daniel Aliaga. He joined the department in 2004 from the University of Alberta. 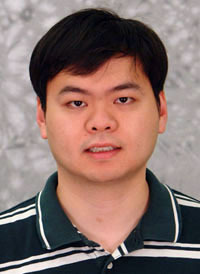 His research interests lie in computer graphics and computer vision, with focus on acquisition, modeling and rendering. He is also interested in interactive computer graphics and computational photography. He was an intern at the Mitsubishi Electric Research Laboratories in the summer and fall of 2008, and he served as the Publicity Chair and a PC Member for the ACM SIGGRAPH Symposium on Interactive 3D Graphics and Games.